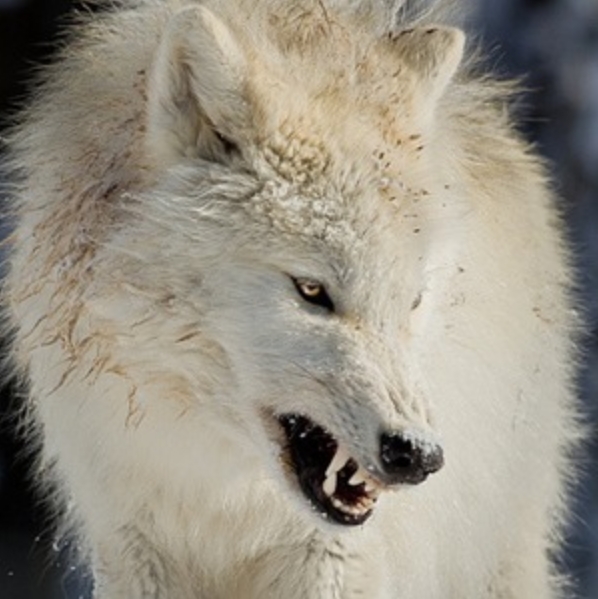 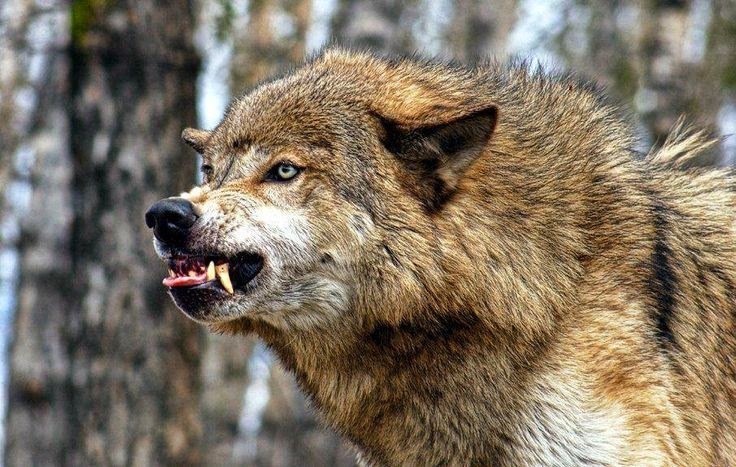 via White Wolf : 10 pictures of growling wolves that will awaken your alpha side..
Wolves use body language to convey the rules of the pack. 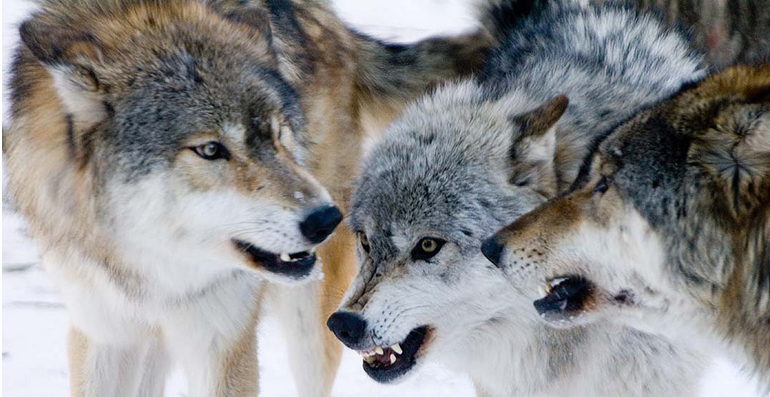 A wolf pack is very organized. 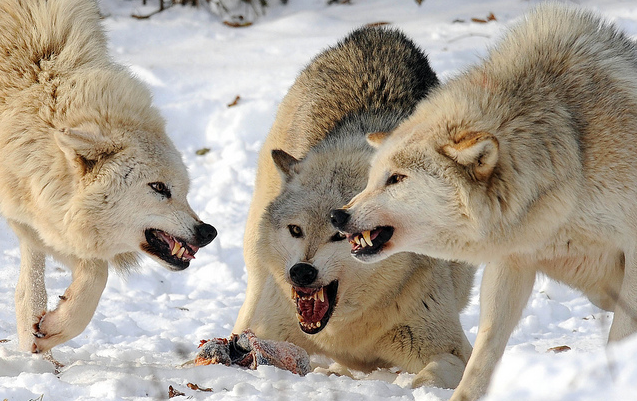 Rule number one says that the pack is made up of leaders and followers. 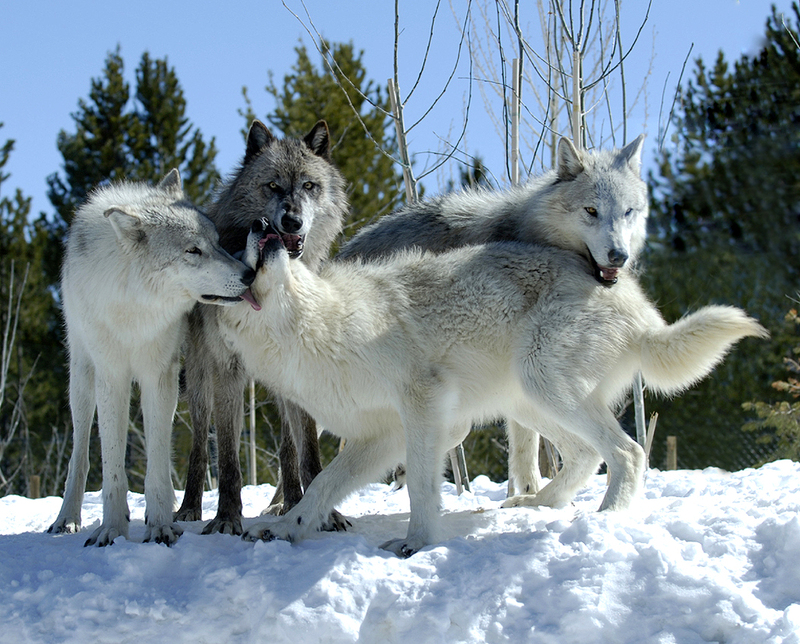 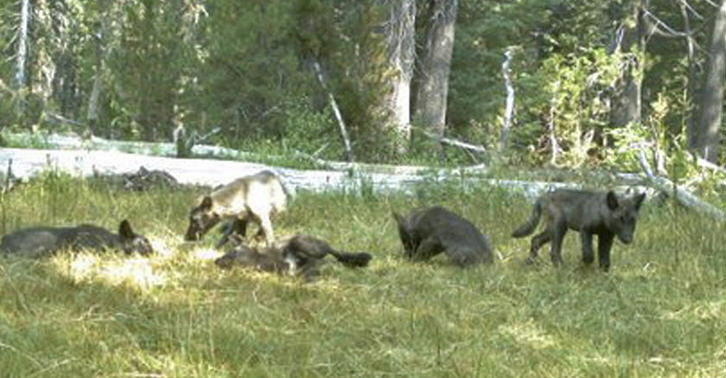 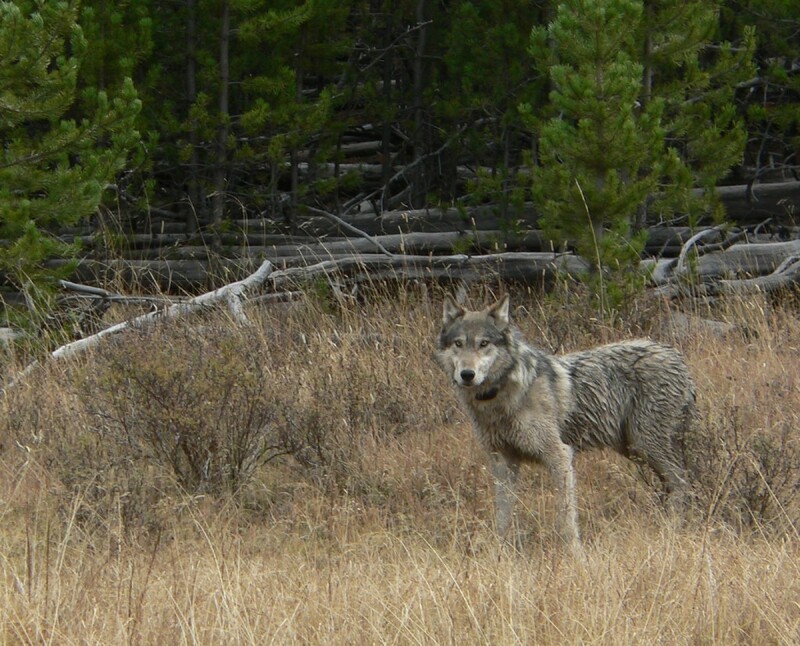 The pack leaders are the male parent and the female parent – usually the father and mother of the other pack members. 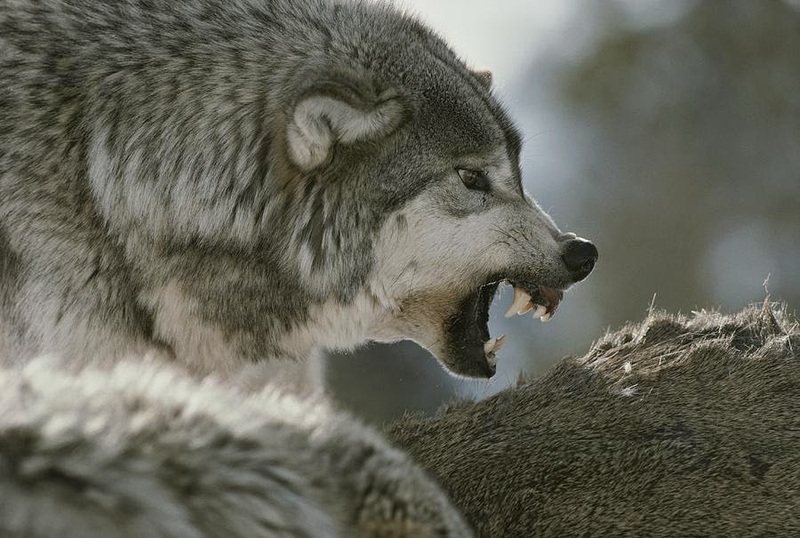 They are often the oldest, largest, strongest and most intelligent wolves in the pack. 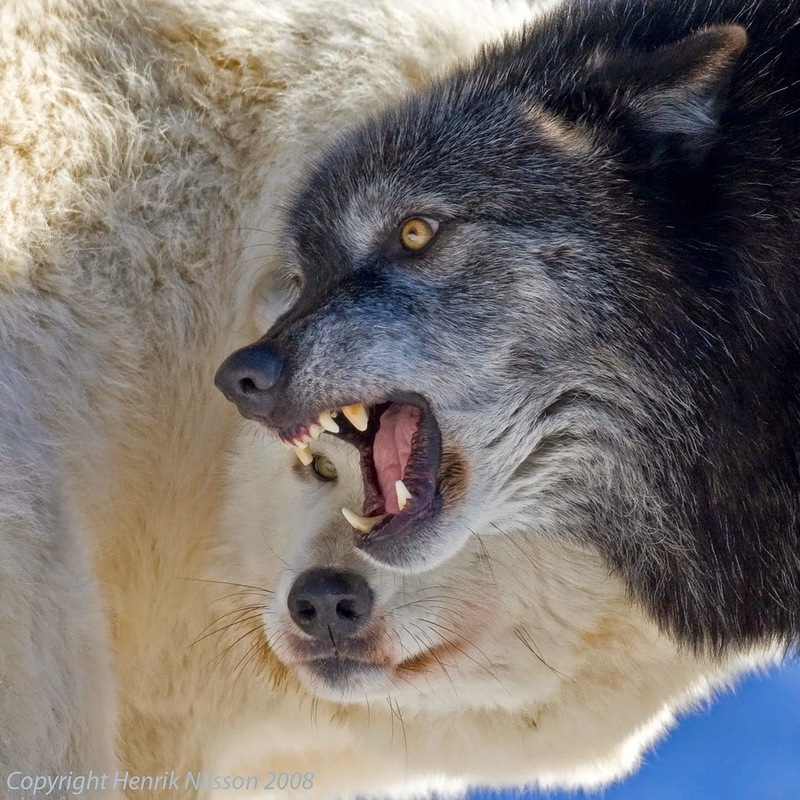 They are known as the dominant pair and are usually the only members of the pack to produce pups, thus are also referred to as the breeding pair. 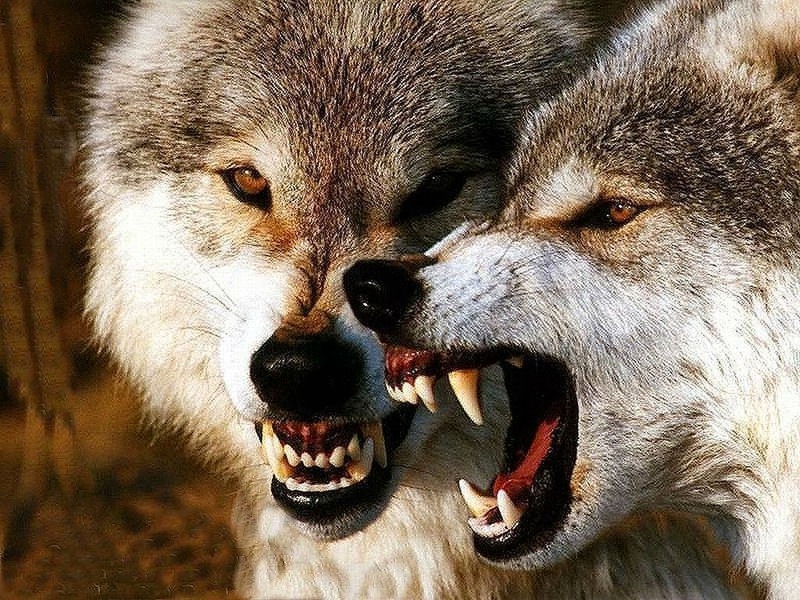 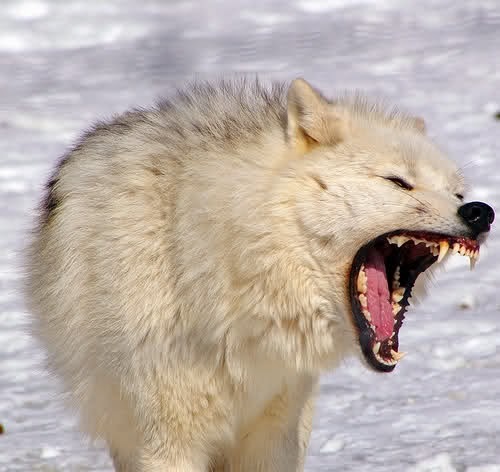 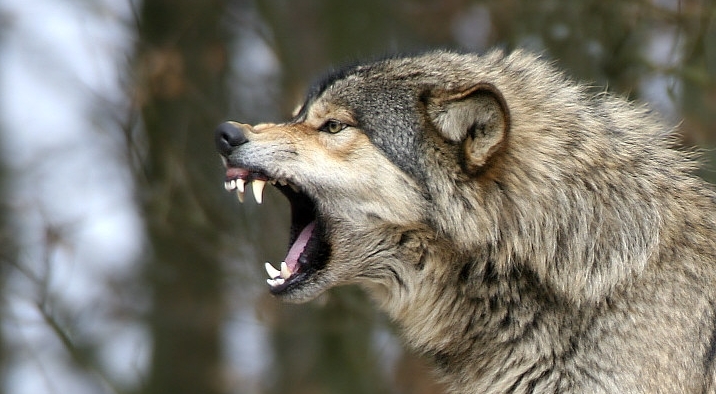 If two wolves have a disagreement, they may show their teeth and growl at each other. 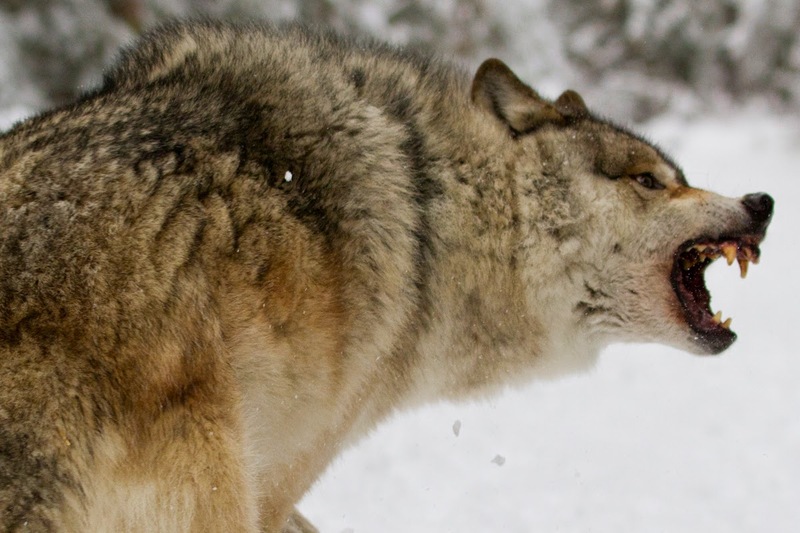 Both wolves try to look as fierce as they can.